WASHINGTON, Jun 30 2012 (IPS) - By staking out a policy line on Iran reflecting the views of the Israeli national security leadership, Deputy Prime Minister Shaul Mofaz has undercut the Benjamin Netanyahu government's carefully planned strategy to get U.S. President Barack Obama to threaten war against Iran if it doesn't give up its nuclear program. Mofaz, who brought his Kadima Party into the Netanyahu government in a May 9 deal, is a former Israeli chief of staff who had made threatening statements about Iran's nuclear programme as minister of defence in Likud Prime Minister Ariel Sharon's government from 2003 to 2006. The new coalition government, which increased its majority in the Knesset from 94 to 120 seats, was billed by the government's supporters as a "war cabinet" that would strengthen Netanyahu's hand in using force against Iran should that decision be made. But instead, Mofaz has publicly contradicted the whole thrust of Netanyahu's strategy by downgrading the threat from Iran and suggesting that a peace settlement with the Palestinians is actually more important. Alpher told IPS in an interview he believes the criticism by those senior military and intelligence officials of Netayahu's Iran policy had "reached a critical mass." "At some point it registered with Netanyahu and Barak," said Alpher. Ever since late 2011, the impression of a heightened threat of an Israeli attack on Iran has been central to the crisis atmosphere over the issue. It has been the premise on which Israel has tried to reduce progressively Obama's freedom of action on Iran with the ultimate objective of maximizing the likelihood of an eventual U.S. attack on Iranian nuclear sites. 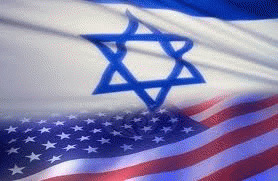 The strategy of pressure on Obama was to be carried out through a combination of Israeli demands regarding U.S. diplomatic positions on Iran's nuclear programme and pressure from the U.S. Congress at the prompting of the right-wing pro-Israel lobby organisation AIPAC, which operates in close consultation with the Likud government.